Having successfully closed the 48th edition of Santarcangelo Festival, the second with the artistic direction of Eva Neklyaeva and Lisa Gilardino who are now working on the 2019 edition, and having started the season of events and residencies of the Winter calendar, we are approaching a very important milestone for this historic appointment with the performing arts. In July 2020 the Festival will reach its 50th edition, proving as one of the most enduring Italian institutions for the performing arts, able to regenerate year after year, overpassing trends and political phases and able to relaunch its international trend-setter role with perseverance and tenacity. With the aim of building a well-structured journey of study, analysis and restitution of the Festival history and of conceiving a programme able to reflect its firm and iridescent identity, the Administrative Board of Santarcangelo dei Teatri has assigned the artistic direction of this special July 2020 edition to Motus, local theatre company which has always been nomad and independent, founded and guided by Enrico Casagrande and Daniela Nicolò, already associated artists for the current triennium directed by Eva Neklyaeva and Lisa Gilardino. 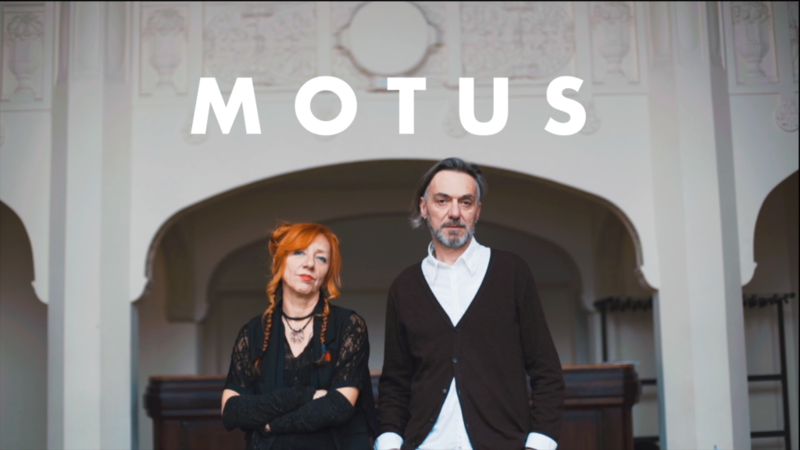 High-profile organization of the international scene, Motus has an artistic path that is deeply interrelated to the one of the Festival, having already directed the 2010 edition and having cooperated with the artistic direction of the theatre companies in the triennium 2009/2011. Daniela Nicolò and Enrico Casagrande enthusiastically welcomed the challenge to enclose the past, present and future of the Festival in one single edition: an experience which reoccurs but which asks the company to play an unprecedented role by building a choral dramaturgy of a great collective appointment. In these weeks Motus is in the programme of Romaeruropa Festival with Panorama, co-production realised with New York La MaMa Experimental Theatre Club, on stage in Rome at Theatre Vascello from 31st October until 3rd November. The current artistic direction, Eva Neklyaeva e Lisa Gilardino, wishes Motus the best for this new adventure, which comes after a long history of cooperation between the two organizations and on one hand marks a path of artistic continuity, on the other opens new visions for the Festival. The public international call for the selection of the artistic direction of the triennium 2021/2023 will be published in the Autumn 2019 and, as in the past, it aims at gathering all the best proposals and opportunities from the whole world of the performing arts. The journey towards Santarcangelo Festival 50 has already started last Summer: the 2018 edition hosted a meeting dedicated to the first 10 lustra of the Festival, curated by Roberta Ferraresi (Towards Santarcangelo 50 / Building a story), scholar and researcher of Bologna University who was assigned the realisation of a volume collecting the history of the 50 years of the Festival, developing an open construction site between archive researches, meetings and study seminars.